Evercare company is giving away free lint and pet hair rollers. Follow our link and apply to become a product tester and if you are selected, you will be given this product to try and you will have to provide your feedback. Click GET FREEBIE button and then apply to become a product tester now. You can get a free pack of dog food from Billy + Margot® and each pack contains 7 dog food rolls. Follow our link and join their website by filling up the form and you will receive this food pack. Click GET FREEBIE button and then join now to get free dog food pack. Pawtree is giving away free samples of their pet food seasoning so make sure to get one for you cat or dog. Follow our link, scroll down, click Yes Please button and supply them with your shipping details and they will deliver it to you. Click GET FREEBIE button and order your free sample today. You can get a free sample of Naked Essential dog food from their official website. Follow our link and supply them with your postal details and they will deliver it to you. Click GET FREEBIE button and then order a free sample for your dog. You can get yourself a free pair of Bissell Pet Hair grooming gloves from ViewPoints. Just follow our link and supply them with your postal detail and they will deliver it right at your doorsteps. Click GET FREEBIE button and then fill up the form with your details to get yours. Purina is giving away free samples of their Friskies® Lil’ Soups™ adult cat food. Just follow our link and fill up the form with your details and they will deliver it right at your doorsteps. Click GET FREEBIE button and then order your free sample of this cat food today. You can get yourself a free Nupro pet supplement that will support their joint and immune system. Follow our link and fill up the form with shipping details and they will deliver it right at your doorsteps. Click GET FREEBIE button to visit Nupro website now and order free pet supplement sample today. Head over to PinchMe where they are giving away free samples of Purina Puppy Chow dog food. Just follow our link and supply them with your shipping details and they will deliver it to you. Click GET FREEBIE button and then supply them with your shipping details and they will deliver it to you. You can get a free sample of YuMOVE dog chews that promotes healthy joints. Follow our link, click Try button and then supply them with your shipping details and they will deliver it to you for free. 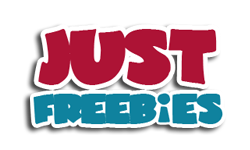 Click GET FREEBIE button and then order a free sample pack of YuMOVE dog chews. You can get a free Howl-oween Dog Kit that contains Milk-Bone®, Milo’s Kitchen®, Pup-Peroni® and Canine Carry Outs® dog treats. Follow our link, click Apply button and signup to receive this pack. Click GET FREEBIE button to visit Ripple Street website now and enter for a chance to receive this pack.